In the context of global digitization in all socially significant sectors, important changes also occur in the health sector. This trend is also topical within the European Union, and one of the main topics of discussion is how to make equal the access to e-services among citizens of the Member States. Progress would be made with the availability of a National Health Information System, interoperability at both national and European level, in order to optimise the workflow in healthcare facilities and to improve the quality of the provided health service. The general vision of National Healthcare Information System (NCBI), good European and national practices for digitalization of healthcare sector, implementation of solutions for automation of the working process in the hospital administration are some of the highlights of 14th National Conference on e-Healthcare 2019.. Whom to expect at the event? 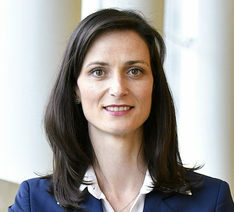 Mariya Gabriel is the European Commissioner for Digital Economy and Society since July 2017. The overall objective within her overarching portfolio aims at the full realisation of the Digital Single Market. Her strategic vision has consistently placed European citizens at the centre of our policies, helping them acquire digital skills to succeed the digital transformation process. She has focused her efforts on putting forward an ambitious digital programme in the context of the next MFF, investing in HPC, AI, cybersecurity, but also the creative, audiovisual industries and media, bringing benefits to all European citizens. She has extensively engaged with external EU partners to enhance digital cooperation, in particular with the Western Balkans and the Mediterranean region. She is co-chair of the EU-Africa Digital Economy Task Force. In 1996 graduated from the University of National and World Economy in Sofia with a degree Banks and Banking. In 2001 acquired a Master degree in Public Administration from George Washington University. In 2007 acquired a degree in Health Management from the Medical University of Sofia. In 2010 graduated Doctor of Economics at the University of National and World Economy. In the period 1996 - 1999 was consistently Counsellor in Department Securities Issue and Transactions and Head of Sector Investment Analysis at the Securities Commission /currently FSC/. From 1999 to 2000 and from 2002 to 2010 was consistently Head of Department and Director of Budget Directorate at the National Health Insurance Fund. In 2001 was engaged as an expert at the Institute of International Finance in Washington – Department Europe. In 2002 worked as an expert on health financing to Bulgarian health project - under programme of the US Agency for International Cooperation and Development for Bulgaria. In the period 2003 - 2004 lectured on Financial Accounting in English Portsmouth University, Sofia. From February 2010 to April 2010 was Director of the NHIF. From August 2010 to November 2017 consistently held the posts State Expert, Head of Department State Affairs at the Ministry of Finance and Director of Local Government Financing Directorate at the MoF. On 10 November 2017 by order of Prime Minister Boyko Borisov was appointed Deputy Minister of Health. Ion Gâlea graduated from the Faculty of Law at the University of Bucharest. He is also a Bachelor of the University of Paris I Panthéon-Sorbonne, the Franco-Romanian legal College of European Studies. He holds a master's degree from the University of Graz, Austria (in collaboration with the European Academy, Bolzano, Italy and the European Institute of Public Administration, Luxembourg). He holds a PhD in international law, a title obtained at the University of Bucharest. Since 2000, he is a diplomat in the Ministry of Foreign Affairs, from the year 2002 occupying various managerial positions in the field of European Union law and international law. 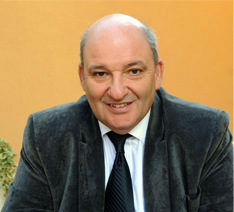 In the period 2010-2016 he was the General Director of the Legal Affairs Department. 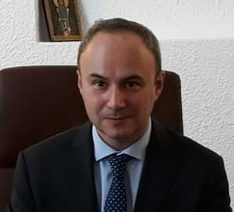 Since 2016, he has been appointed ambassador of Romania to the Republic of Bulgaria He is also an associate professor at the Faculty of Law of the University of Bucharest, where he teaches public international law since 2002. 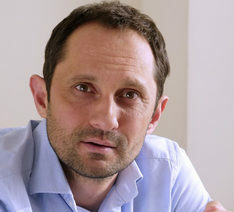 Dr Ceri Thompson is Deputy Head of the "eHealth, Well-being, and Ageing" Unit in the Directorate General for Communications Networks, Content and Technology (DG CONNECT) of the European Commission. Within the European Commission, Ceri has previously worked for DG SANTE and Eurostat. Prior to joining the Commission she worked on Global Health for DFID, and for KPMG’s international healthcare practice, conducting strategic and efficiency reviews of health systems in the CARICOM and EECCA regions, and of various London hospitals. Ceri graduated with a degree in Mathematics from Durham University in 1992, and she holds a Doctorate in Public Health from the London School of Hygiene and Tropical Medicine. Alexander Ognianov is computer systems engineer. He has graduated from the Technical University – Sofia with a major in "Computer systems" and has a PhD in technical sciences. Ognianov has specialized in "Software and hardware for instrumental interfaces" in Netherlands and in "Information technologies - USTTI development politics" in USA. In 2006 Alexander Ognianov became deputy director for information technologies of the National health-insurance fund, and since the end of 2009 he is interim director of NHIF. 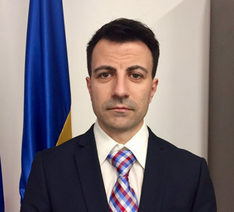 Before joining NHIF Ognianov worked as state expert in the E-government department of the Ministry of state administration and administrative reform. 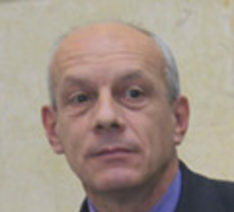 From April 2002 to January 2006 he has been the director of Information society and technologies department of the Ministry of transport and communications and chairman of the Board of directors of Bulgarian Posts. He has been the leader of a number of projects in the IT field and senior researcher in the Institute of microprocessor technologies, as well as part-time lecturer in Technical University and the New Bulgarian University. Assoc. Prof. Ivan Kostov, MD Chairman, 'e-Health Bulgaria' Foundation, Executive Director, University Obstetrics and Gynecology Hospital "Maichin Dom"
Dr. Nikolay Andreev, PhD is Head of the Transfusion Hematology Department at St. Anna University Hospital, Sofia. 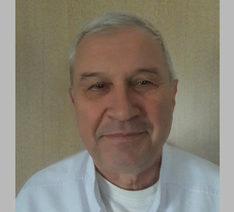 He completed his medical education in 1980 at the Medical Academy in Sofia. 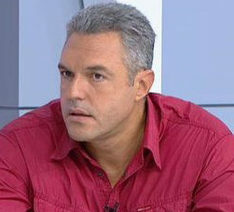 In 1984 he graduated in "Transfusion Hematology" and in 2007 he got a postgraduate qualification in "Health Management". He has specialized in Switzerland. In 2018 he successfully defended dissertation at the Institute of Biophysics and Biomedical Engineering, BSA. 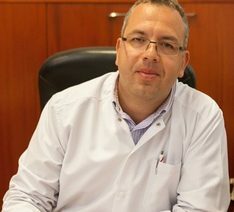 From March 2015 until June 2017 he was the Director of the National Transfusion Hematology Center. Dr. Andreev is a national consultant in transfusion hematology. He is a member of the Transfusion Hematology Society. Assoc. 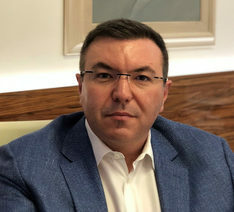 Prof. Kostadin Angelov, PhD Executive Director, University Multiprofile Hospital for Active Treatment "Alexandrovska"
Ivan Todorov is Chairman of the Board of Directors of DR Shterev JSC and Marketing Manager of Dr. Shterev Hospital. The hospital is а high tech pioneer medical enterprise and a pioneer in the field of assisted reproductive technologies and fetal medicine in Bulgaria. Ivan Todorov is member of the Managing committee of Bulgarian Hospital Association. He is MA in Health Management and MA in Political Management, post-graduate student in political science at Sofia University "St. Kliment Ohridski". In 2012 he was a senior project consultant on development and implementation of the Joystick Hospital Information System in Dr. Shterev Hospital. He is a member of the team working on development of telemedicine system of the hospital. In 2017 participate in implementation of Artificial Intellect Darvin AI by chat bot for automatic appointment for medical examination in Facebook Messenger, Viber and chat channel on http://shterevhospital.com/. He leads the team on implementation of innovative CMS and personalized digital marketing platform Sitefinity made by Progress Inc on the internet page of Dr. Shterev Hospital. Doctor Valkova graduated in medicine in 1997 and in Emergency medicine in 2001. She is Health management master. 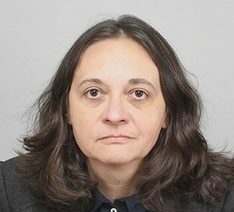 She was doctor in Emergency medical services center, Emergency unit in Hospital St Anna in Sofia, RHIF - Sofia, as Medical Director of Sofia Regional Health Inspectorate. Doctor Valkova is head of Emergency unit in Uni Hospital in Panagyurishte town. She has been lecturer of Bulgarian red cross. She is member of Bulgarian Emergency Medical Services Association. 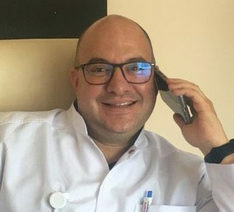 Associate Professor doctor Rosen Kalpachki is neurologist. He is Head of Neurology Clinic in Hospital St. Anna in Sofia. He lead the first and the biggest Stroke center in Bulgaria. Dr Kalpachki is member of Bulgarian Society of Neurology, Secretar of Bulgarian Society against Epilepsy. He has written two monographs, co-author of three medical books, a textbook of emergency medicine and about 80 publications. 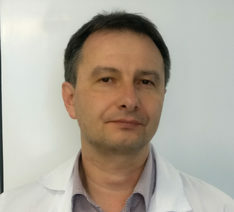 Dr. Tihomir Gemedzhiev Head of Department "Breast Surgery", First Gynecological Hospital "St. Sofia"
Todorka Kostadinova is a Professor at the Department of Economics and Healthcare Management at the Faculty of Public Health at Medical University – Varna. Her main scientific interests and publications are in the field of public health, strategic management, social and health marketing, integrated care, change and risk management, management of international projects and programmes, social entrepreneurship and innovations. She has participated in over 180 projects as a researcher, coordinator and manager; guest lecturer at Medical University of Vienna and University of Bern. 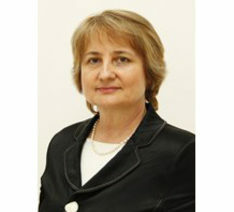 In the period 2009-2010 Prof. Kostadinova combines academic work with managerial positions at national and international level as a Deputy Minister of Health, Chair of the National Council for Food Safety, member of the Supervisory Board of the National Health Insurance Fund, coordinator for Bulgaria of the South-Eastern Europe Health Network. From 2012 to present she is a Vice Rector for International Relations, Accreditation and Quality at the Medical University of Varna. Yordan Dimitrov is an Operations Manager at Balkan Institute for Labor and Social Policy and co-founder of the mobile labour market platform for people with disabilities Job Care. 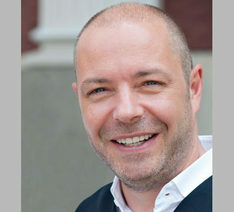 Currently he is also an exploitation and communication manager of EC Horizon 2020 project "Supportive Active Ageing through Multimodal coaching" – SAAM. 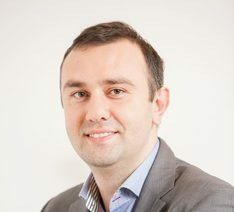 Mr. Dimitrov is an economist with 20 year experience in projects in the social field. In the last 5 years Yordan works intensively on initiatives connecting technologies and social innovations. His current interests are in the fields of integrated social and health services, Ambient Assisted Living (AAL) and active ageing. Mira Ganova is the Executive Director of the Digital Health and Innovation Cluster Bulgaria. PhD from the University of National and World Economy, specialization - Organization and Management outside the field of material production. Priority in her portfolio is building a data and technology-based healthcare system that optimizes industry processes, makes the environment predictable, easily accessible, sustainable, and effective. 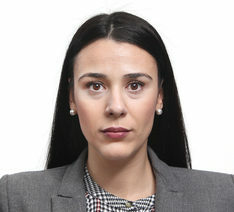 From 2016 to 2018, Mira Ganova is Head of the Public Relations Department of the Bulgarian Medical Association. 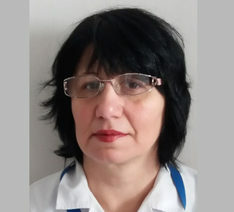 During this period she has realized and participated in various initiatives and projects related to the efficiency and effectiveness of the Bulgarian health care system, which gives her a thorough knowledge in the field. 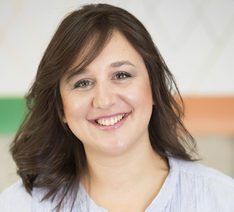 Since December 2018 she is CEO of the Digital Health and Innovation Cluster Bulgaria. The organization was created to develop a healthcare ecosystem open to private entrepreneurs and organizations that can add value to medical services by introducing new technologies and innovation. One of her work priorities as CEO of the Digital Health and Innovation Cluster Bulgaria is to develop and support the implementation of measures together with institutions, universities, NGOs to promote entrepreneurship and capacity building for a sustainable and effective healthcare system. Veneta Kuyova-Terzieva holds a MA and BA in "Political sciences and public administration" from Complutense University, Madrid, Spain. In the last 6 years, she has been involved in project management and design, more specifically related with the Erasmus+ program, and she’s been part of the creation of more than 25 project proposals and in the implementation and management of more than 5 projects. She is a soft skills trainer and uses methods like World Café and Points of View Coaching cards. In the JA team, she deals with projects and initiatives with corporate partners and also manages international projects, one of which is the European Entrepreneurship Education NETwork (EE-HUB). Eng. Jacko Pillossof Chairman of the Board of Directors, Information Security Officer, Kontrax Jsc. Engineer Jacko Pillossof is graduated from the Technical University of Sofia in the field of Computing Equipment and has a Postgraduate Diploma in Applied Mathematics. He has worked in Technotronica, BBS - Apple Computer IMC and Kontrax JSC. He has been Technical Director and Director of Research and Development in the company, and since 2018 he has been Chairman of the Board of Directors of Kontrax. Jacko Pillossof is responsible for the information security and the protection of the classified information in the company. He has over 34 years of experience in the specialty and has participated in the design and construction of many complex projects in the field of information and communication technologies. One of the founders of the Hippocrates health-information systems family, distributed by Kontrax JSC. Polina Mihova is a graduate of the Department of Biomedical sciences, NBU (now "Healthcare and Social Work") - Master of Computer Technologies in Biomedicine and assistant professor in 02.21.10 "Application of the principles of cybernetics in various fields of science - medicine, Biocidebenetics". Since 2005 she has been Director and Head of the Bachelor's program "Natural Sciences", module "Medical Cybernetics" at the NBU. She graduated the full course of the CISCO Academy, Health Information Networking at the CISCO Academy in 2013 and acquired ECDL Certificate No. BG 000463/8 May 2013 Syllabus Version 5.0: Modules: Word Processing, Spreadsheets, Presentation. 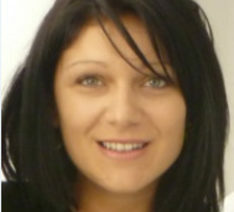 Polina Mihova has a number of international specializations and is a member of the American Society for Cybernetics and the American Telemedicine Association. Her dissertation theme is "Telemedicine functions of the Medical Information System"; and after that she is an author of more than 30 scientific publications, compilation, and co-authorship of 23 educational CDs, author of 15 new academic courses, 3 textbooks and 2 monographs. Scientific supervisor of 45 bachelors and 24 masters of NBU. She is also a lecturer on a specialized one-semester computer course - obligatory for all newly admitted students of at the NBU. 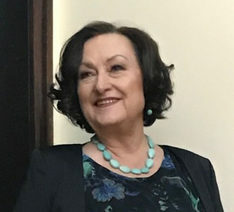 Since 2016 is a Head of Program Council in Healthcare and social work department, also a representative of the NBU for the Bulgarian Institute of Standardization (BIS), and a member of the TC 57 - Information and Communication Technologies of BIS Her main scientific interests are in the field of Information Systems in Medicine and Healthcare, Telemedicine and Terminological Qualification of Medical Informatics. « Eng. Jacko Pillossof, Chairman of the Board of Directors, Information Security Officer, Kontrax Jsc. « Assoc. Prof. Ivan Kostov, MD, Chairman, 'e-Health Bulgaria' Foundation, Executive Director, University Obstetrics and Gynecology Hospital "Maichin Dom"
12:10 - 12:30 Artificial Intelligence (AI) as a main factor in early detection of breast cancer - the Bulgarian experience. 14:30 - 14:50 Next stop: Life extension! Is 3D bioprinting the way? ICT Media си запазва правото да извършва промени по предварителната програма. More than 15 years ICT Media has been organizing the most prestigious forums and conferences focused on the application of information technology in all business segments of the economics. In the years, the specialized B2B events proved to be a place for sharing experience, creating business contacts and generating new ideas.